This new era of technology has introduced so many devices to human, everybody wants to have a smartphone at this smart age but our pocket will always dictate the level at which we can go in the selection of choices from the wide range of phones. Yes, we have different features we desire in our choices of phone but can our money get it for us? Let Compare this Two strong smartphone device from two strong poles in the Nigeria mobile market. The Infinix Mobility is popular known for their Smartphone model that offers cool devices at affordable prices in Nigeria. Since 2014 when the first Infinix Smartphone was launched, Infinix phones have progressively offered awesome specs and more stylish designs. Even though the Infinix phones come with great and alluring features their selling price makes the brand device even more appealing to people. This Hong Kong-based smartphone manufacturing company has produced a wide range of smartphone which has put every smartphone manufacturing company to their feet. 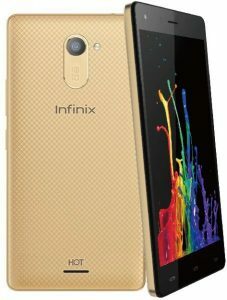 Infinix X557 Hot 4 Lite is one of the best mobile phone produced by infinix with great specification, though people tend to mistake it for the original hot 4 but it’s quite different from infinix hot 4, it’s more of the light version of the infinix hot 4, it Comes with the latest version of Android 6.0 Marshmallow (XOS Chameleon 2.0), the infinix hot 4 Lite has a low RAM but it’s fast enough to perform heavy task at a good speed and the lack of Fingerprint scanner makes a very difficult choice for the newbies that want the latest tech in the market apart from that, it’s a very nice phone flaunting the sleek design which has now become trend in the infinix phones. Also note infinix hot 4 lite doesn’t support 4G LTE, But has a very strong and reliable network features with a strong battery capacity which is one of the selling point of infinix phones in Nigeria, the infinix device comes with a battery that can last at least for 15 hours without surveying for the nearest transformer to tap electricity from or turning charger to a walkie-talkie. It’s a phone to pick especially for pocket consideration but I personally just love the features. To crown it all infinix hot 4 Lite is a pocket-friendly device with trending specifications. see also: Infinix S2 ProThe Latest Infinix Smartphone with Dual Front Camera Spec & Price in Nigeria. Samsung is the best android producing company in the mobile market, they are referred to as the Android Kings because of the remarkable, heart capturing and beguile specifications. This Suwon, South Korea-based multinational company released its first Android smartphone in 2009, after which various range of smartphones have been launched bothe mid-ranged and pricey devices. Samsung recently developed smartphones running their own OS Tizen OS, as an alternative for Google Android OS. This company has produced a wide range of devices putting smiles in the face of many smartphone lovers. The smooth and clean feeling of Samsung mobile phone is quite un-doubtable unbeatable with the feeling of making each grab of the phone a sensational feel with the sense of richness and power of holding not only best but class. The Samsung mobile phone is one mobile phone that can be more than a mobile to someone but as a companion and a friend. Samsung really got the design and features of their phone to make their users happy and every moment with their device enjoyable. 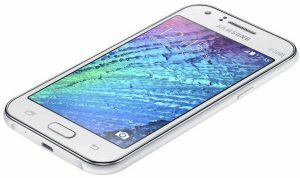 Samsung J110 also known as Samsung Galaxy J1 Ace smartphone is a phone with respect but no command, due to the features. The phone comes with a 4.30-inch touchscreen display with a resolution of 480 pixels by 800 pixels. It’s a phone for a very needy person that wants to add respect to personality and no class. I will say it’s a phone for the old, cos the market of today has more to give than the Samsung Galaxy J1 Ace. The Samsung Galaxy J1 Ace is powered by 1.3GHz dual-core it comes with 512MB of RAM, which is still OK to run the minimal app without hanging but speed is not assured, yeah it runs Android 4.4 Kitkat on however in the session of this device I will say Samsung could have done better but I guess that is still one of the main problems Samsung is facing has the battery of the phone is not strong enough to last the user for a day. Features Geo-tagging, touch focus, face detection, panorama Autofocus, Geo-tagging, touch focus. It’s so clear even despite the low quality and features each phone gives or possesses, let’s the name or the logo, an average person considering pocket will surely go for the infinix hot 4 lite. The price is very inviting and the feature still beats the Samsung J110 hands down. Please, who wants a phone with a big name that can’t satisfy my desire when it comes to using the phone, am sure Samsung produced the J110 either to use as substitute phone or a phone for the old. I still respect the fact that Samsung J110 has a good reputation in the market but it can’t be in demand compared to the Infinix hot 4 lite. Hot 4 lite is a phone that is very well demanding on the market. I for one will close my eyes to Samsung J110 and run for the Individual Hot 4 lite with no regrets. 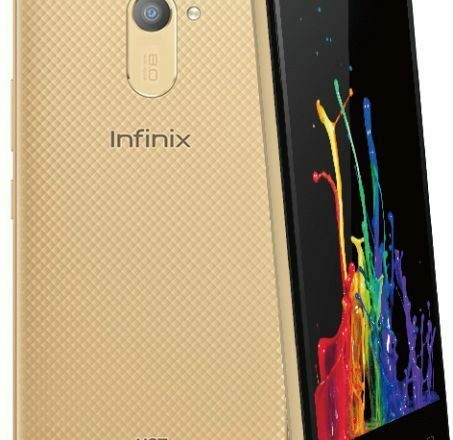 Looking for where to buy Infinix and Samsung Phones in Nigeria ?. It is very simple and stress-free, to avoid buying a fake or the refurbished product the best option and the smartest move is to order from an online shopping store. The best online shopping website to buy your Infinix or Samsung phone is Kara.com.ng. where you can order your preferred series at the best selling price in Nigeria and also enjoy fast delivery to any location in Nigeria. Samsung Phones under 50000 in Nigeria Specifications and Prices.